I have specified a 16px gutter on my grid. Visually, the gutter appears in the correct place. But the snapping behaves as though there is no gutter. 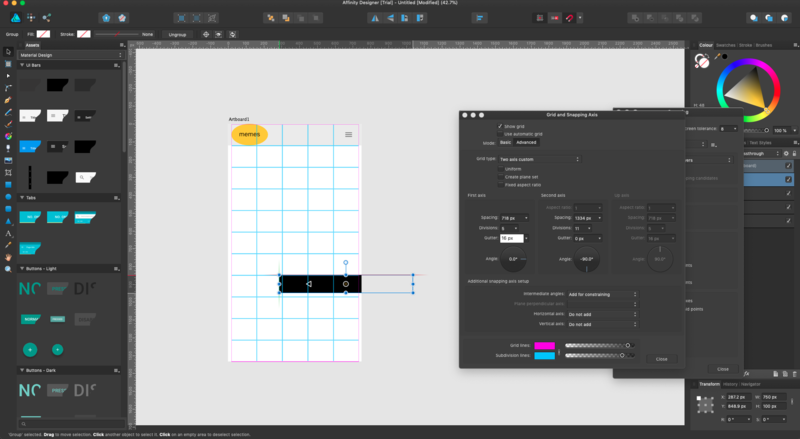 The rectangle that I am dragging in this screenshot, needs to snap to the gridlines that I see -- but is instead snapping to an invisible grid, 16px to the left of my grid (in other words: a gutterless version of the same grid). Thanks for reporting this, this dialog (and how gutters are applied) is changing in a future build and this issue is no longer present.